by gillian claire: A Little Roman Update at 9 Years Old. A Little Roman Update at 9 Years Old. 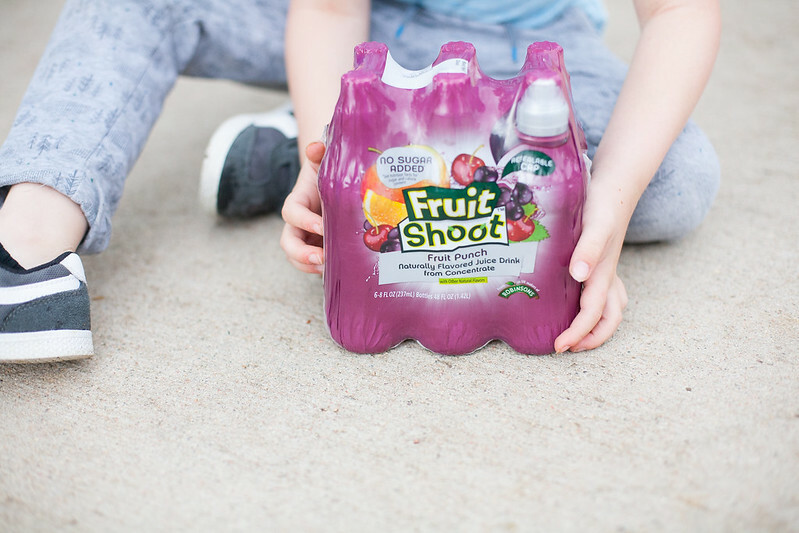 Sponsored Post: This post is sponsored by Fruit Shoot but the content and opinions expressed here are my own. I feel like Roman hasn’t made many appearances lately on my blog. He is NINE years old now, can you believe it? When I started my blog, Roman was only 3 years old and I was pregnant with Asher. Now my boys are 5 and 9 and life looks much different for sure! I figured it's time that I give you guys a little Roman update. We’re so thankful to be partnering with Fruit Shoot for this post. Fruit Shoot is a popular brand in the U.K. that has finally made it's way here! I don’t know about you guys but my kids pretty much freak out with excitement when they see anything pre-packaged and kid-friendly like these juices. It makes me feel good that these drinks have no added sugar! 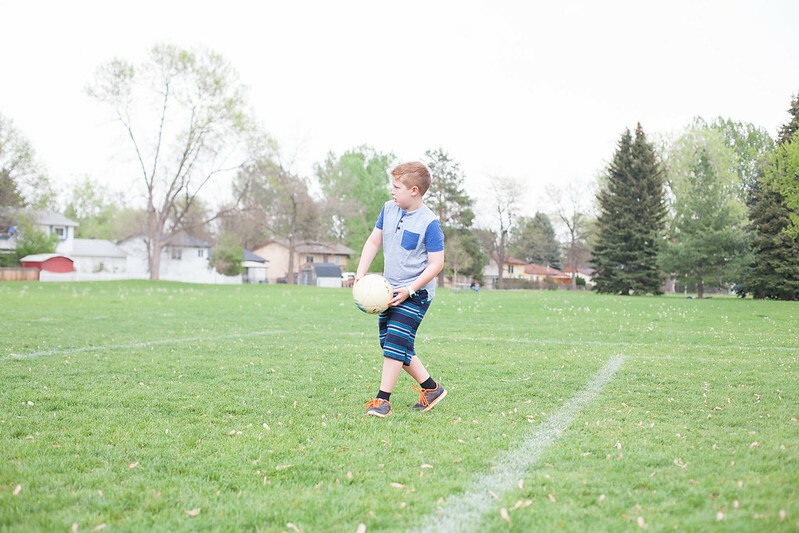 They made for the perfect treat to take along for our photo shoot / park date so that I could capture some new photos of Roman doing what he loves best: playing soccer! It has been so interesting to see my children grow up and realize that they really have the same personalities that they were born with. When your baby is born, it seems impossible to picture them as a growing person with their own interests and unique gifts but as they grow up you start to see how their personalities have been there all along! Roman was the sweetest, quietest and easiest baby ever. I mean really. Those days are so sweet to think back to now. I was only 21 years old and Roman quickly became my little sidekick. He would happily sit in the stroller while I shopped at the mall. We spent hours at thrift stores and took walks together in the neighborhood. He was always happy and went with the flow. We were attached almost constantly until he started public school during the second half of his Kindergarten year. Roman is still sweet as pie and he is definitely a very easy going kid. His teachers rave about him. School comes easily to him and he does very well there. Kids in his class seem truly drawn to Roman’s sweet and happy disposition. 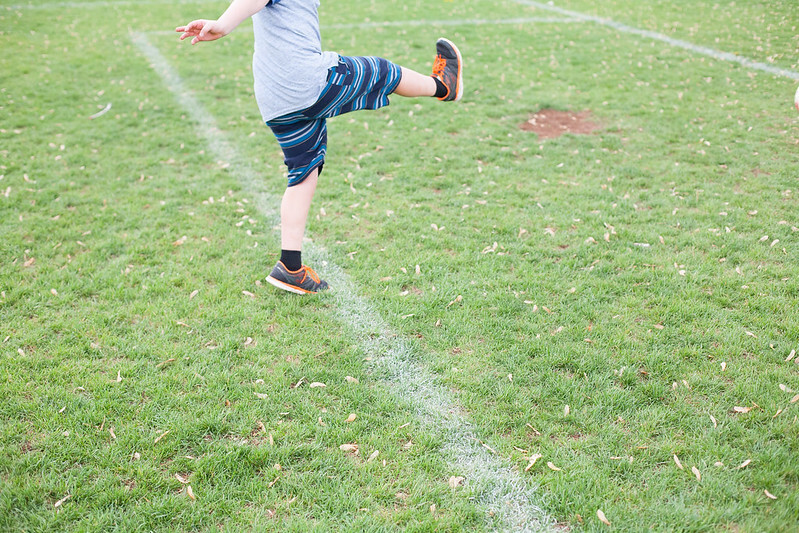 During first grade, Roman became full out obsessed with soccer. This obsession kind of came out of nowhere. When Roman develops an interest, he really dives into it full force. This is another one of those qualities that I started seeing when he was very small and that still shines in him today. 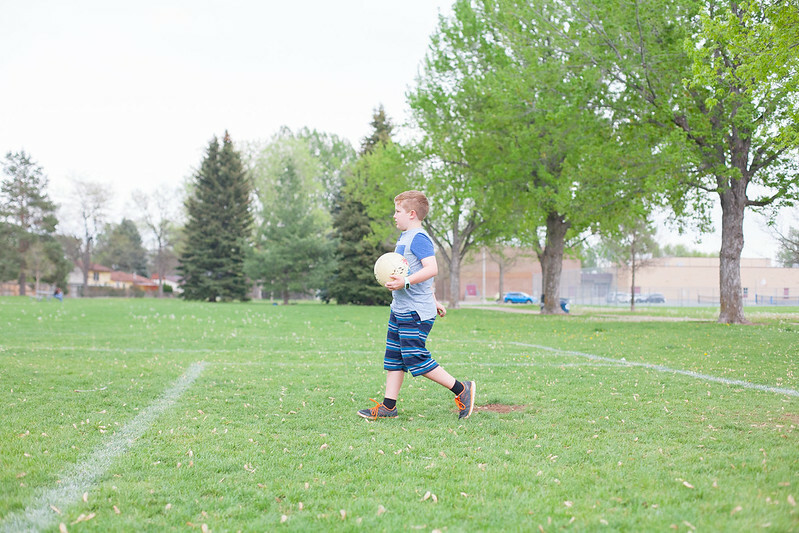 I am not exaggerating when I say that since 1st grade, Roman has spent hours every day practicing soccer. It’s really fascinating to see. Roman has never really had a huge interest in toys. We don’t have video games in our house so he doesn’t spend time on that either. His absolute favorite thing to do is running around the living room practicing his soccer skills and kicking the ball against one of the walls. (Yes, we do allow this!) 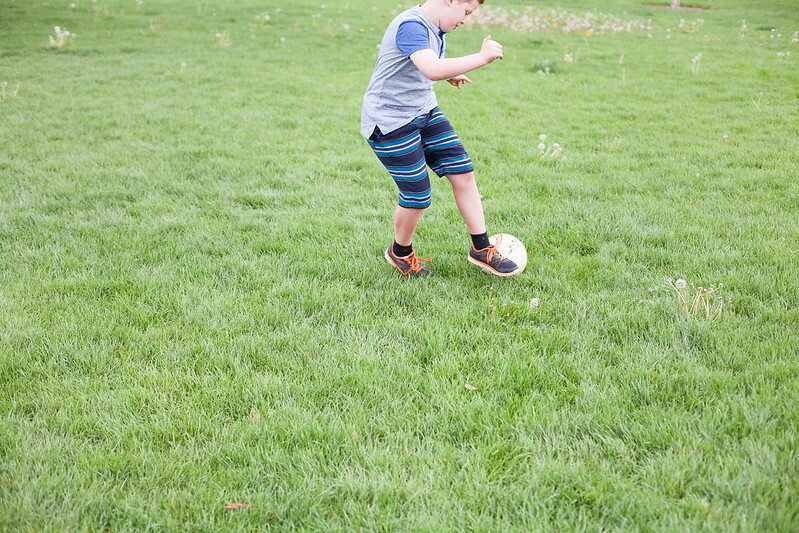 Roman spends a lot of his “screen time” watching YouTube videos and learning new soccer tricks. 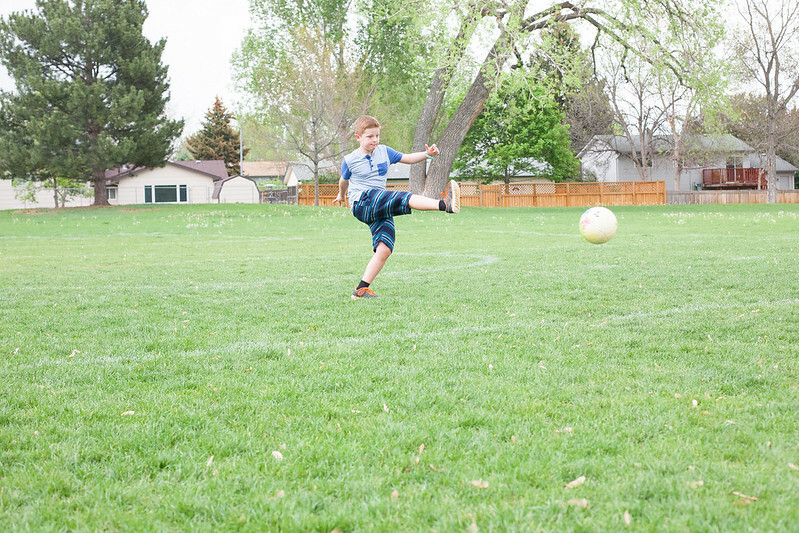 He has truly found his "thing" in soccer. Weather or not soccer sticks with him for life, I have loved watching the determination and passion that he has put into it and I know that these qualities will stay with him in whatever he chooses to pursue in the future. I am so genuinely proud (as we all are of our children) of our Roman. It’s a very strange feeling to have a 9 year old. This year, I feel like Roman has made that transition from a little kid to a big kid although honestly Roman has always had an old soul wisdom about him. He is truly a little wonder and I am so happy and blessed to have the chance to be his Mama. Thanks to Fruit Shoot for sponsoring this conversation. One thing that I always forget about, even ten years into mothering, is the benefit of bringing along snacks + drinks for my kids. These drinks were perfect to pack for the park and my kids loved the new fruit punch flavor. I really appreciate that they come in bottles as opposed to "pouches" and the resealable cap makes them so convenient! 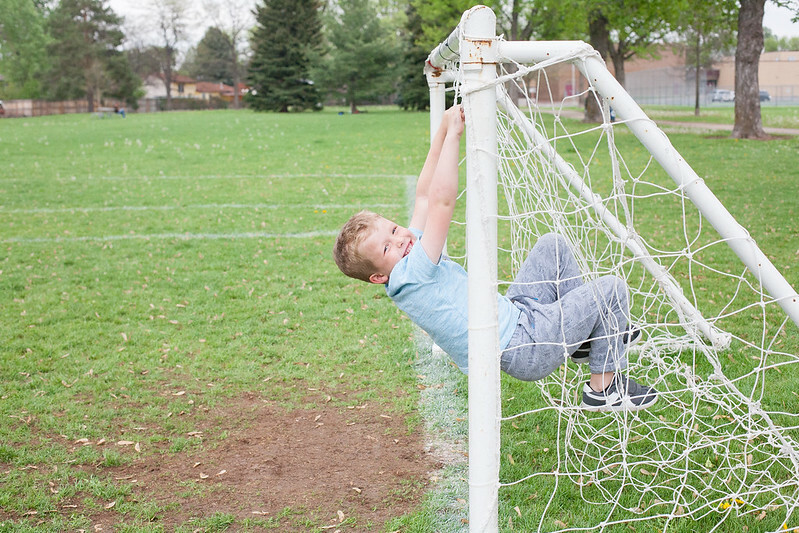 The boys and I made such fun memories creating this post together and spending time at the park. Roman loves these photos that we captured and he can't wait to share them on his Instagram. 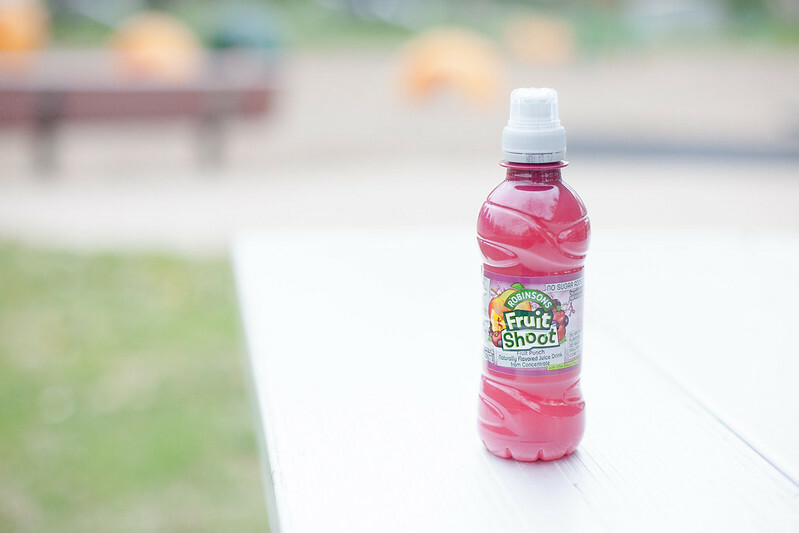 Be sure to check out this link to find a retailer near you that carries Fruit Shoot! What are your kids' "things"? Speaking of personalities, this photo sums up Asher's pretty well -hah! Wow I need those drinks for my kids! Great post. I'm always trying to find good drinks for my active son. Great photos! I rarely buy juice boxes because a) juice is unnecessarily full of sugar and b) they always make a mess (basically I'm a control freak, neat-freak, mean mom), but THESE I could get on board with! I'll be on the lookout for these next time I'm grocery shopping! Thanks for sharing! Thank you, Sarah! And yes, I agree that the best part about these drinks is that they are free from added sugar and don't spill everywhere! :) My kids spill EVERYTHING. 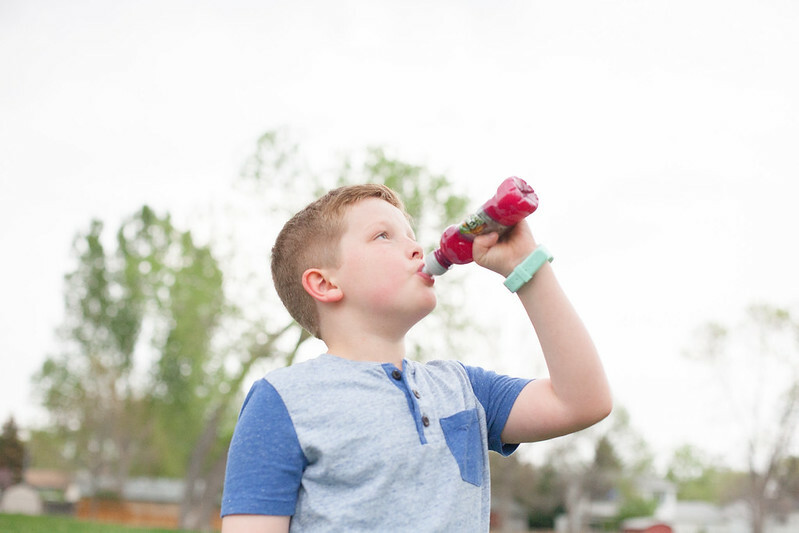 Fruit shoot sounds great -- especially if it's approved by your nine-year-old!